The Office for National Statistics in the UK released a report earlier this month on the issue of national well-being. The report contains some interesting EU-wide data on how citizens rate their own life satisfaction and the extent to which they report themselves as being ‘happy‘ (based on a 1-10 scale). 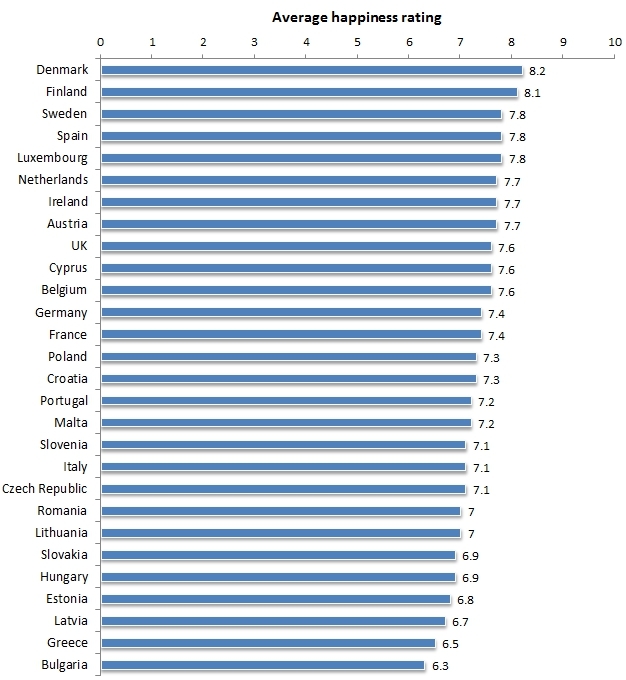 Chart 1 shows the percentage of citizens in each EU country who gave a score of 7 or above for their life satisfaction, while Chart 2 shows the average ‘happiness’ rating for each state. Note: Figures were adapted by the Office for National Statistics from the Third European Quality of Life Survey (published in 2012 using 2011 data). Overall, the Nordic countries – Denmark, Finland and Sweden – exhibit the highest levels of life satisfaction and happiness. Bulgaria has the lowest scores in both cases, with Greece, Hungary, Latvia and Estonia also displaying relatively low scores. 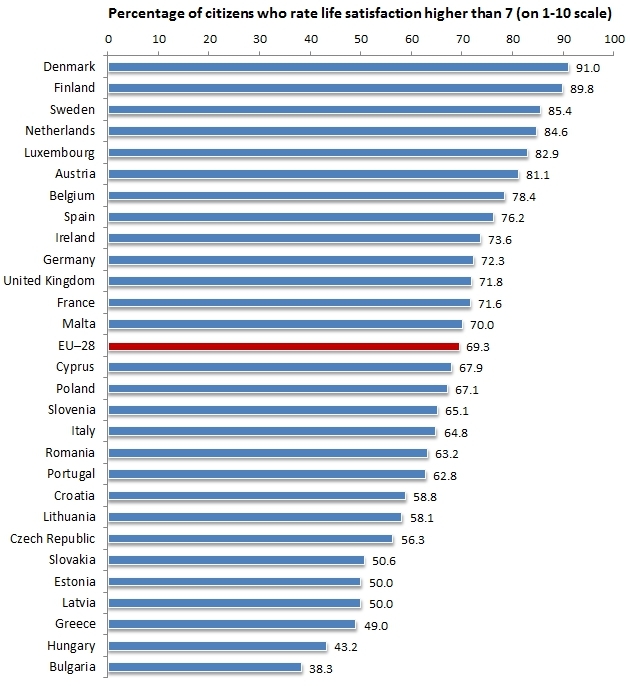 Generally speaking, most of the states below the EU average in life satisfaction are located in Eastern Europe, with Italy and Portugal being the only West European states to fall below this level in Chart 1. Following lengthy negotiations, Jean-Claude Juncker has finally been nominated as the next President of the European Commission. Charlemagne’s notebook labels Juncker the ‘accidental president’, writing that while he appears to have gained the support of all EU governments outside of the UK and Hungary, he is nevertheless a candidate that few states actually want. The article also notes that despite David Cameron’s strong objections to Juncker’s nomination, his presidency might turn out to be relatively beneficial for the UK in practice, particularly as his campaign was partly framed around the principle of getting a ‘fair deal’ in the renegotiation of Britain’s EU membership. Elsewhere, Roderick Parkes at the Strategic Europe blog assesses the future for relations between Poland and the United States. Poland’s Foreign Minister, Radoslaw Sikorski, was recently heard branding his country’s alliance with the US as “worthless” in leaked recordings and the article notes that the scandal could have future implications for negotiations between Europe and the United States over transatlantic co-operation. Alongside Juncker, the big news on Friday was that the EU has signed partnership agreements with Georgia, Moldova and Ukraine. Olesia Ogryzko at European Public Affairs takes a look at what the agreements might mean for EU-Russia relations and the wider issues associated with the on-going crisis in Ukraine.